Hey hey! Now that my birthday posts are finished, I'm super excited to finally blog about our holiday to Malaysia! In March this year, we took a little holiday to Malaysia, staying three nights in Langkawi and five in my hometown of Penang. 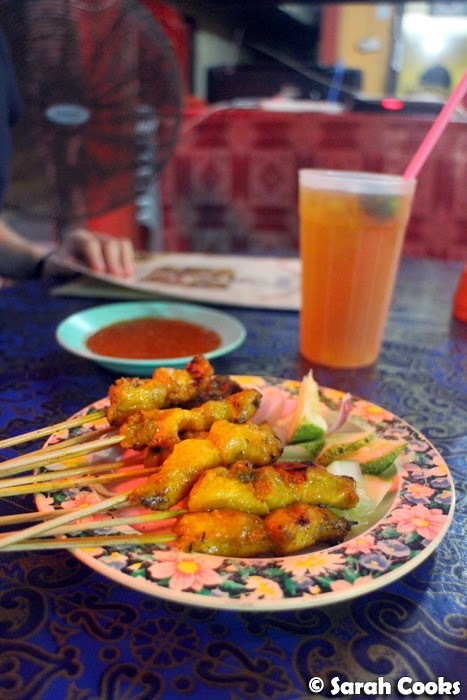 I'd never been to Langkawi before, so it was really exciting for me to discover a new part of Malaysia! 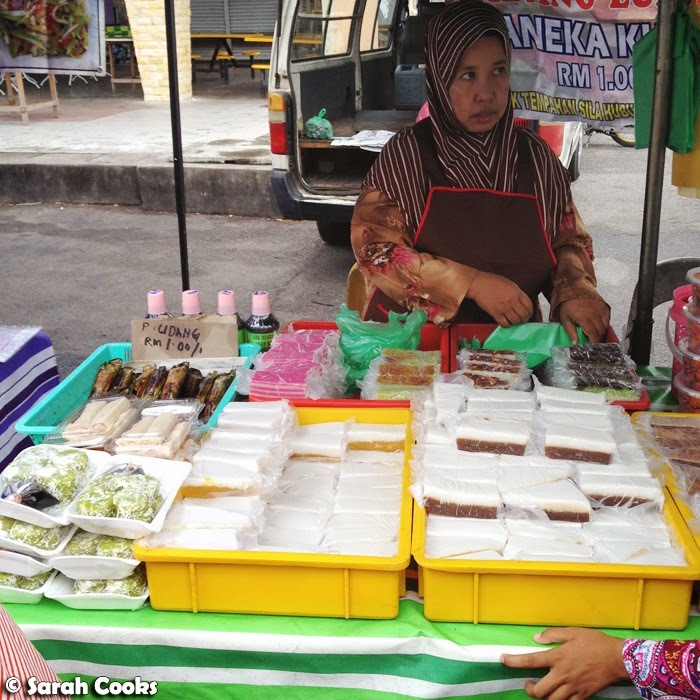 Unlike the ethnic melting pot of Penang, the population Langkawi is primarily Malay (90% Malay, according to Wikipedia! 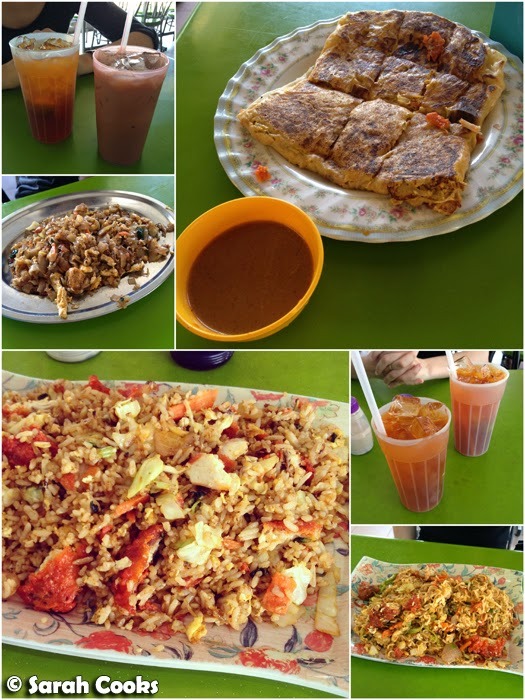 ), so it was a good opportunity for me to practise my almost non-existent Bahasa Melayu, and to eat lots of yummy Malay food! 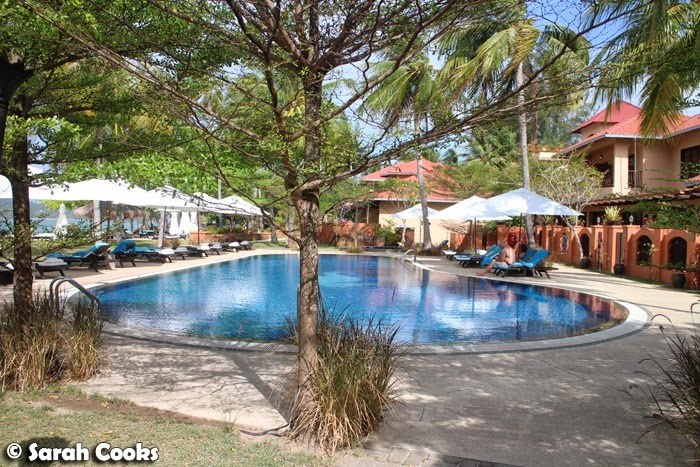 We stayed at a really sweet little resort, Casa Del Mar on Pantai Cenang. The service was great, the breakfasts were wonderful and the rooms were very comfortable. I highly recommend it. Blogpost to come! In terms of touristy activities, we did one boat tour (through the hotel; coming up in the next post), and a little bit of shopping on Pantai Cenang. 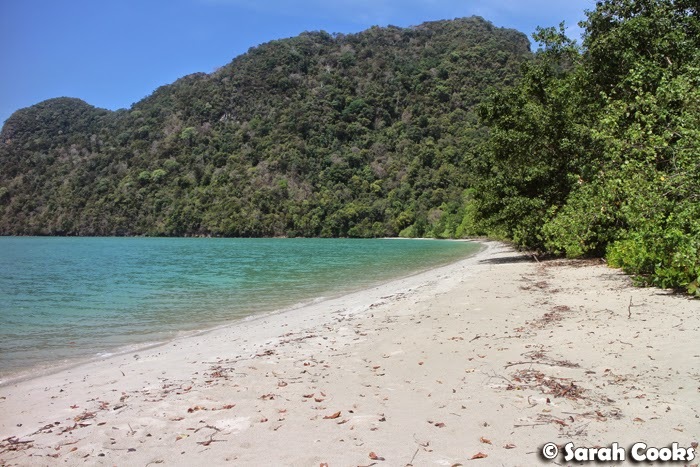 However, Langkawi is a pretty relaxed place, and we spent most of our time there chilling at the resort, and finding new and exciting foods to eat. 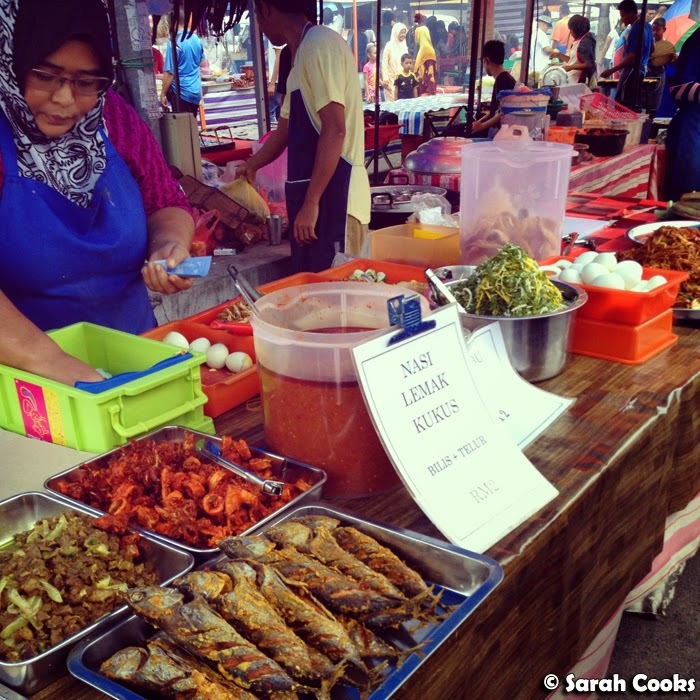 For proper shopping and nightlife, Kuala Lumpur and even Penang are much more lively! 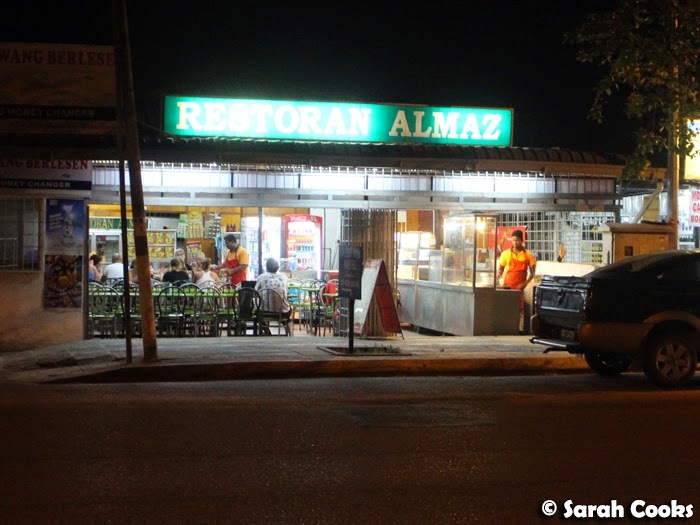 Directly opposite Casa Del Mar was Restoran Almaz, a little mamak stall selling roti, fried chicken, fried rice, noodles and so on - all those Indian and Malay favourites that I crave! 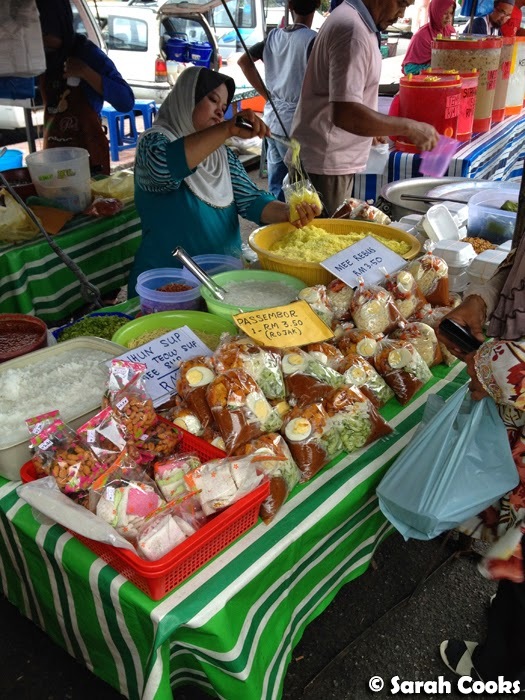 Being smack bang in the middle of touristy Pantai Cenang, I think the prices are slightly higher than what you might find in town, but it still attracted both tourists and locals. 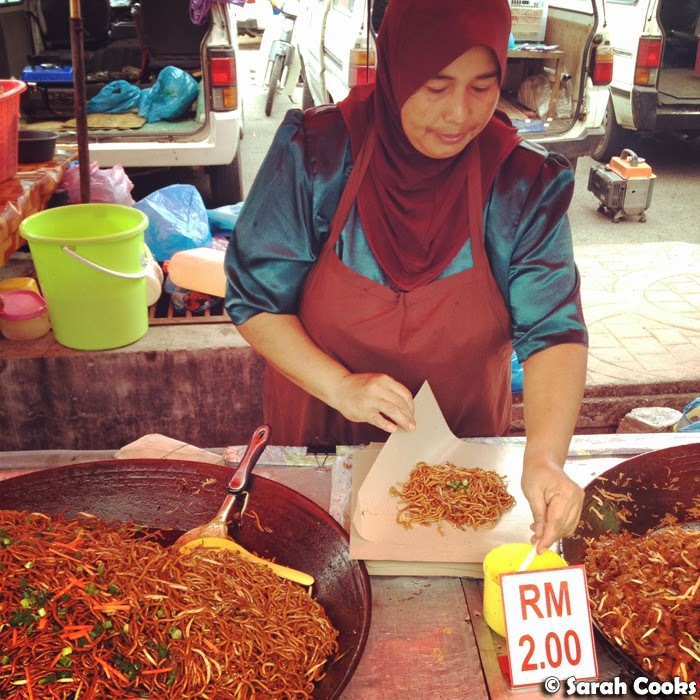 And by Australian standards, it's super cheap - 3 or 4 ringgit for a plate of fried noodles. 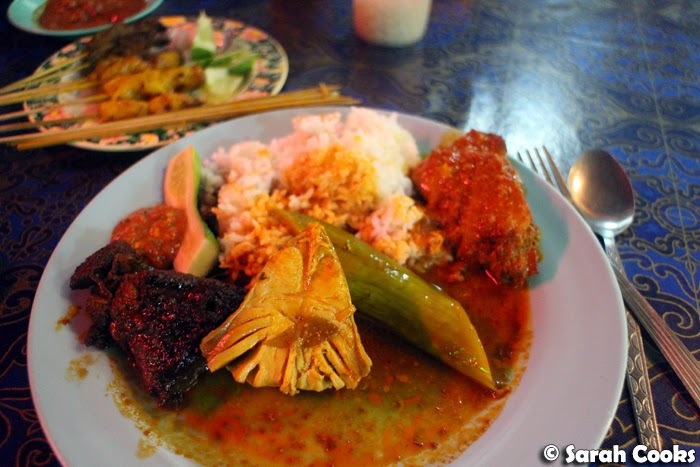 A little further down the road was Nasi Kandar Bob. 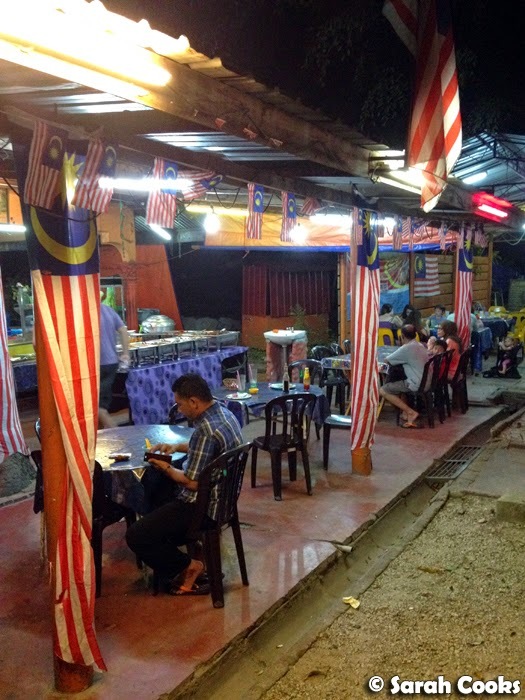 They had nasi kandar (self-serve selection of curries, side dishes and rice), a satay stand and cooked-to-order dishes like fried noodles and more! 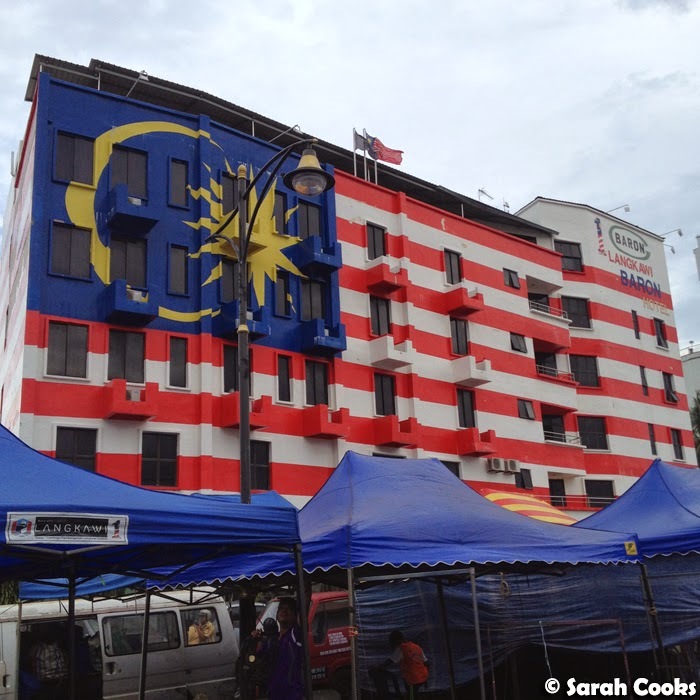 Nasi Kandar Bob - Very patriotic, don't you think? We got a mix of chicken and beef - both great! I loooove the taste of chargrilled meat! 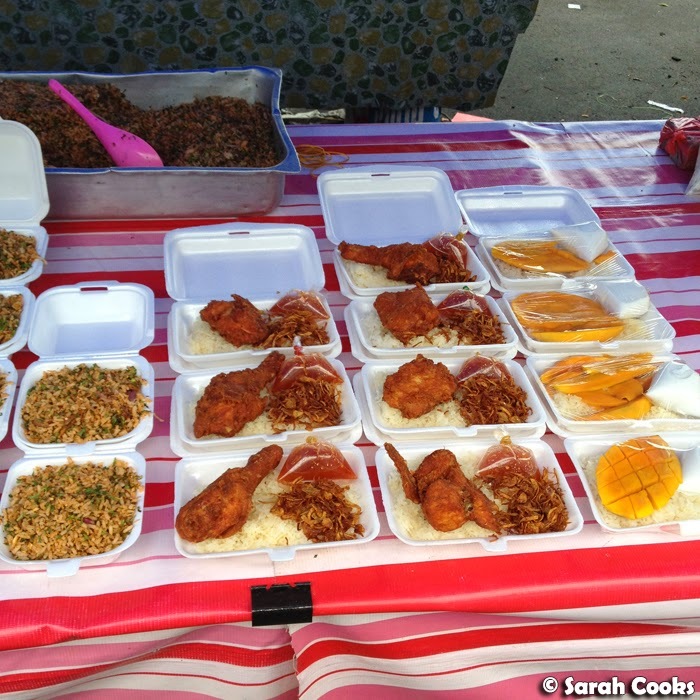 Let's look at the different curries that were on offer. It was so hard to choose! This was soooo good! 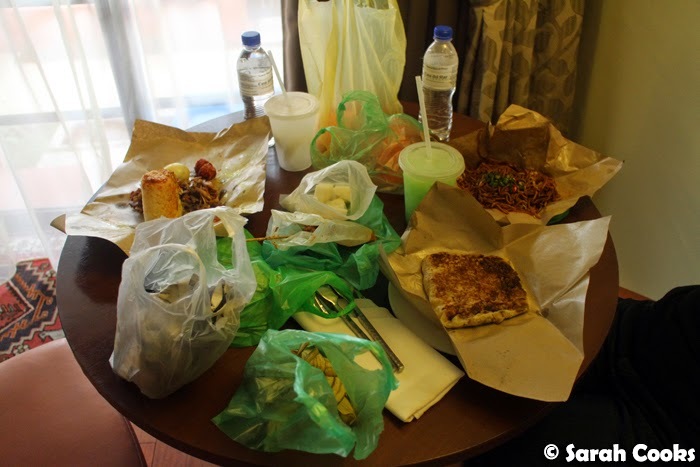 I took heaps of food, and it ended up costing around RM12.50. 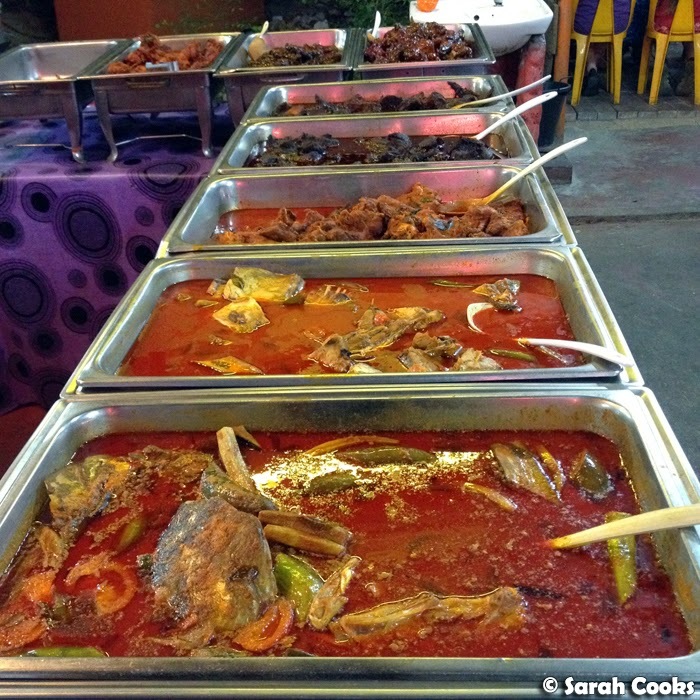 My favourites were the brinjal (eggplant curry) and the the fish curry, which tasted just like my mum's fish curry! The chilli sauce on the side was really good too - really hot! 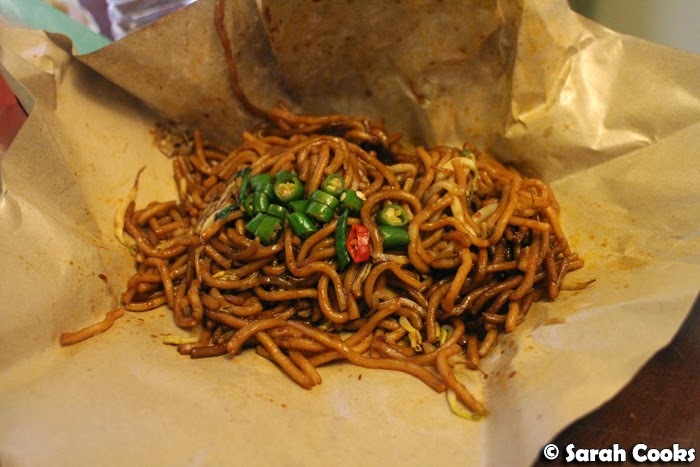 Sandra got a plate of mee goreng with chicken - simple and delicious. 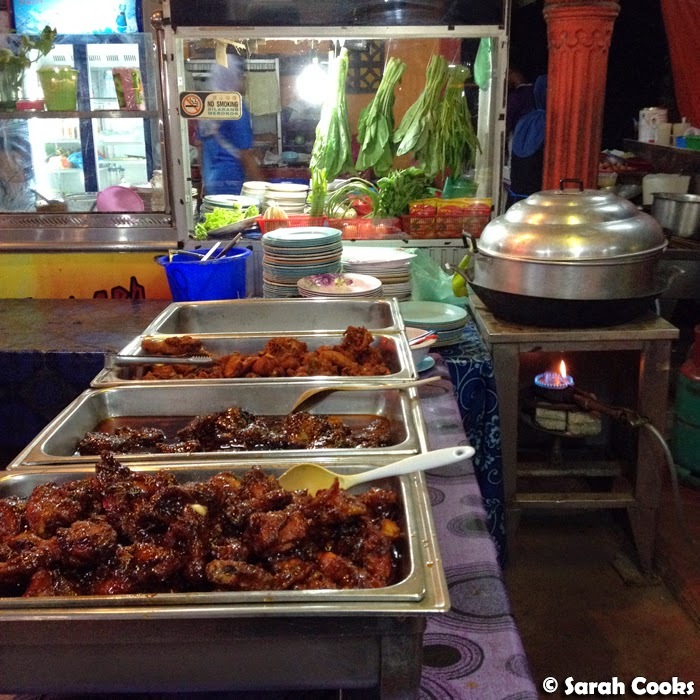 We saw lots of ikan bakar (grilled fish) places along Jalan Cenang, and stopped in at Restoran Haji Ramli on our last night in Langkawi. We feasted like queens! 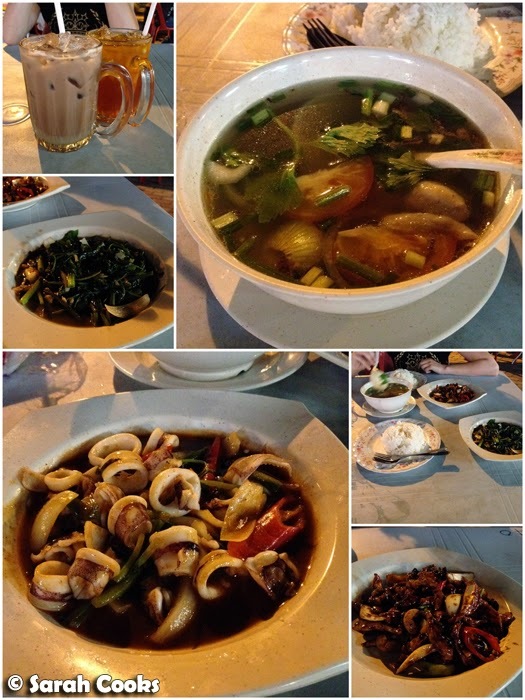 Chicken soup, stir-fried blachan kangkong, cashew chilli chicken, and stir-fried sotong (squid). Drinks were milo ais (yesssss!) and teh o limau ais. (Iced milo and iced lime tea). 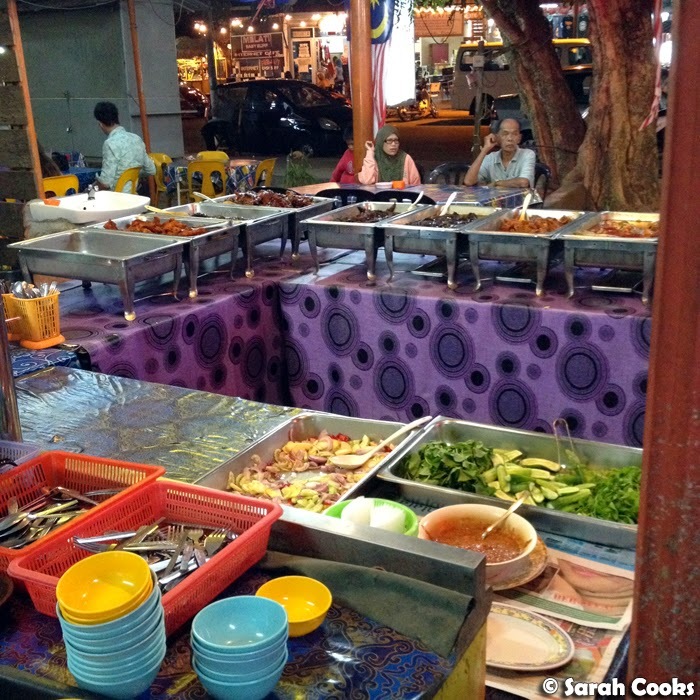 For us, the most exciting food in Langkawi was at the pasar malams (night markets). 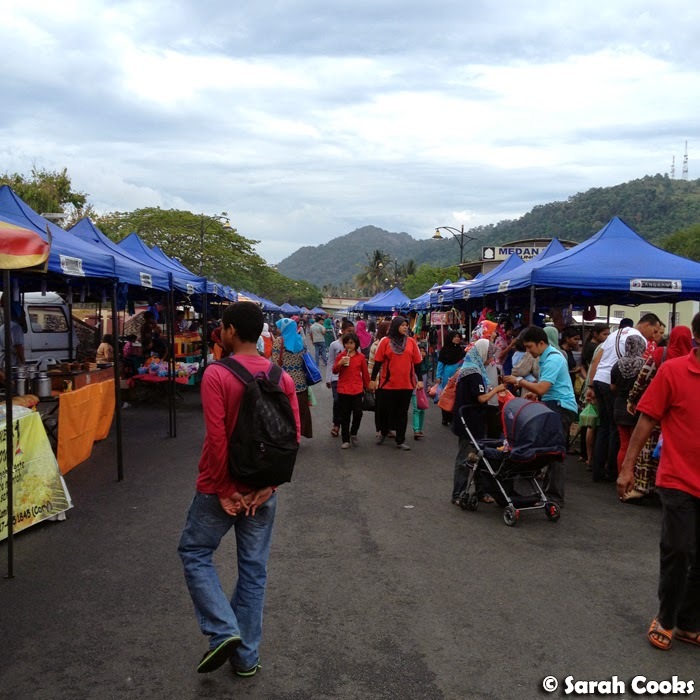 Langkawi's pasar malam is held in a different location each day of the week. 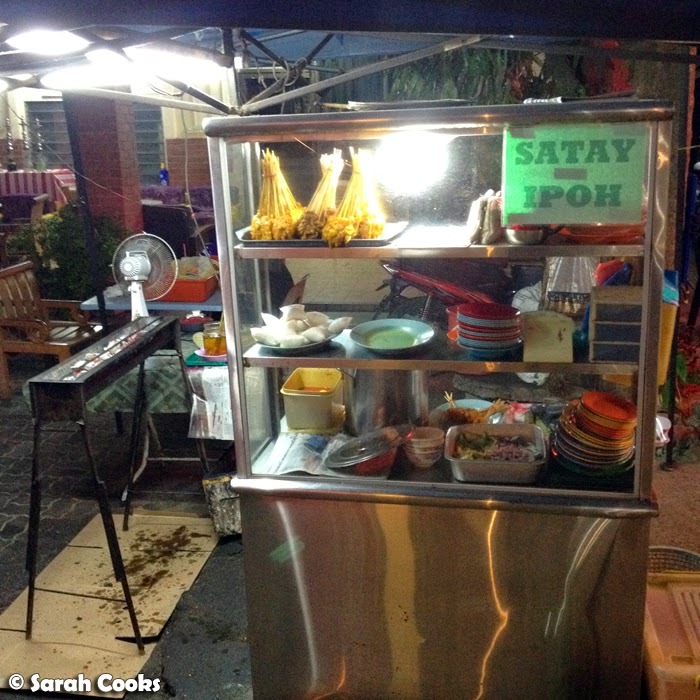 This page on TripAdvisor lists the locations, but locals know where they are - we visited the pasar malam twice, and just asked the staff at reception where they were before catching a cab there. 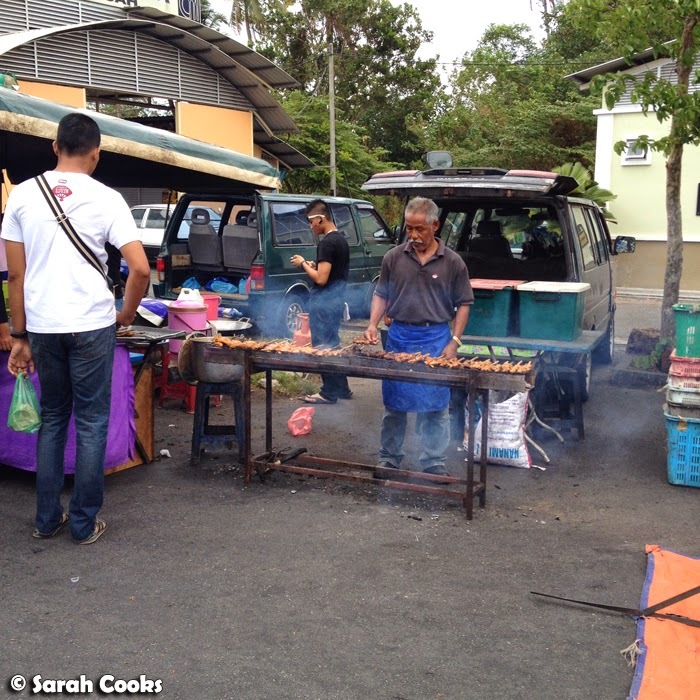 The first pasar malam we went to was in the city (Kuah), and the second was in Padang Matsirat, near the airport. 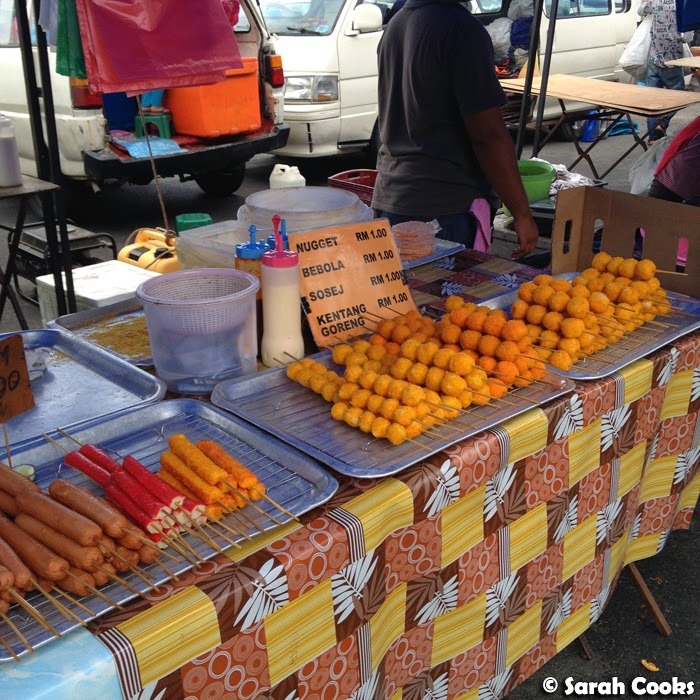 Both were great, but I thought the atmosphere at Padang Matsirat market was much better. Not sure what these are - but I would totally eat them! I was surprised when German Sandra blurted out: "Wow, that's a good looking Black Forest cake!" I can guarantee you there's no Kirsch in that cake though! 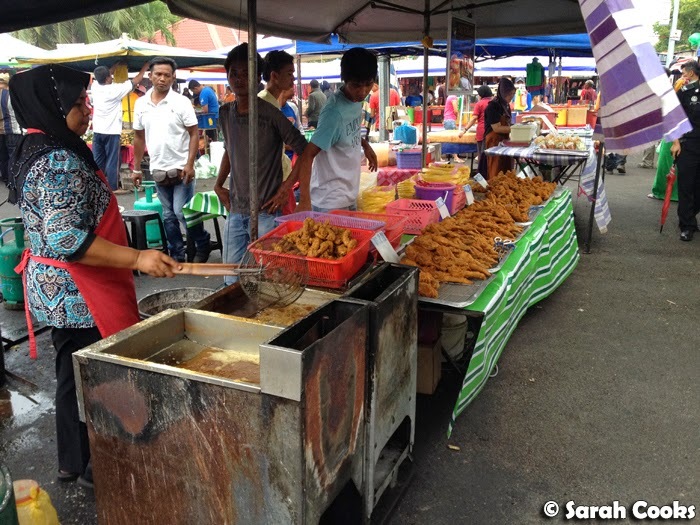 Now let's look at the pasar malam at Padang Matsirat! 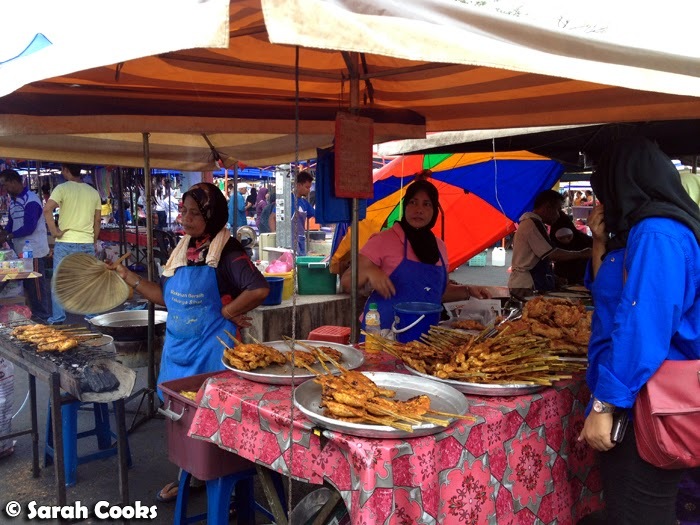 Whereas the Kuah market was simply a line of stalls down either side of one long street, the stalls at Padang Matisrat were all arranged in little rows, and the atmosphere was way better! 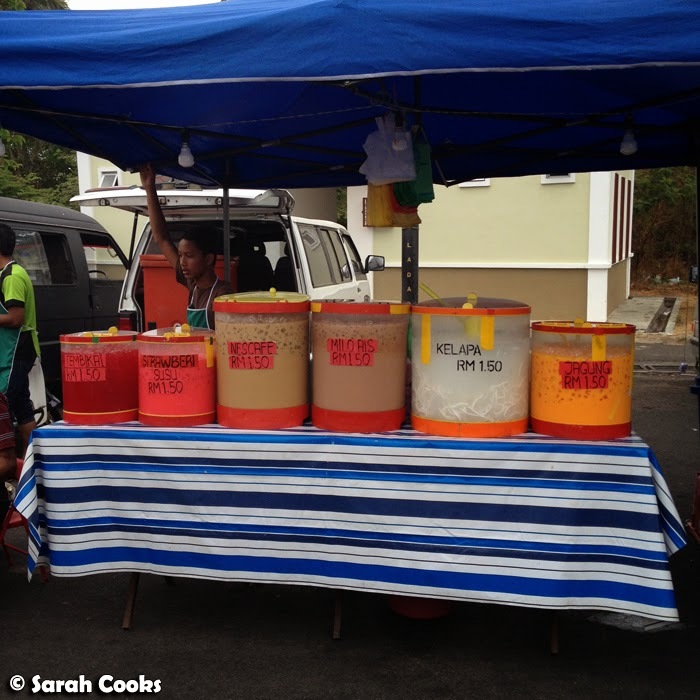 It was like there was something new and delicious to discover around every corner! Not quite sure what these ladies are cooking, but it looks great! 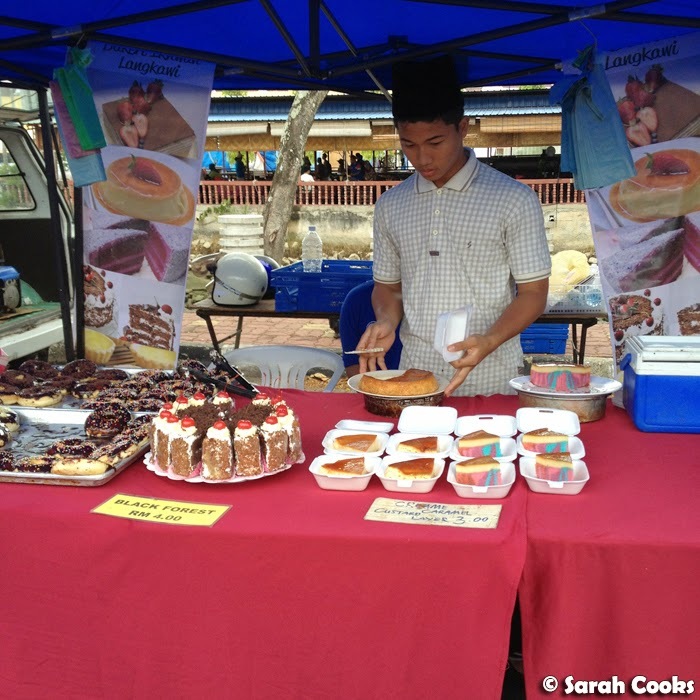 More apam balik, and other coconutty carby sugary desserts! 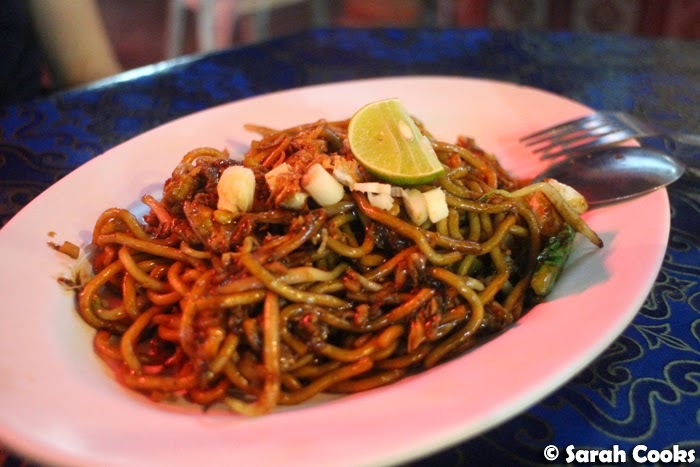 And that was the food we ate in Langkawi! 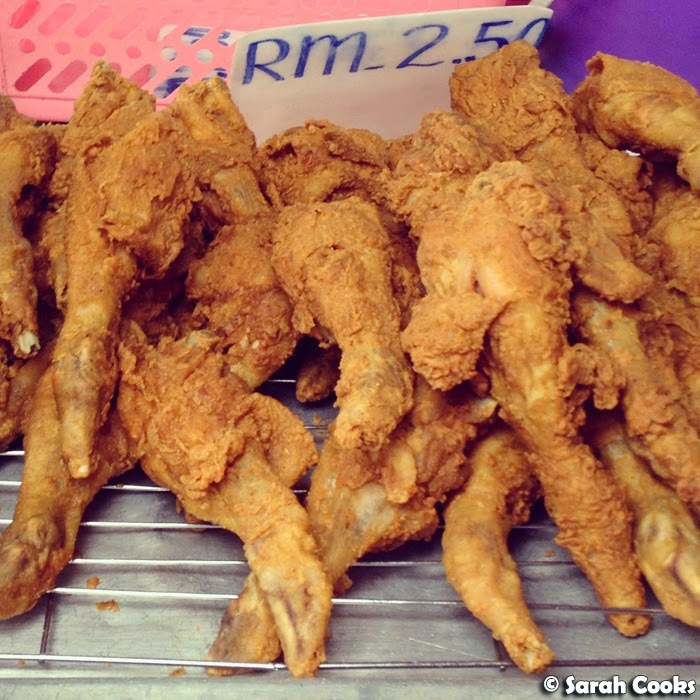 Have you been to Langkawi? 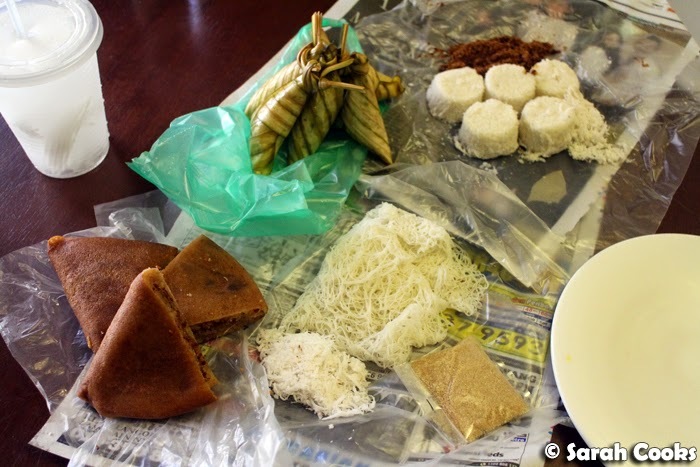 What are your favourite Malay foods? 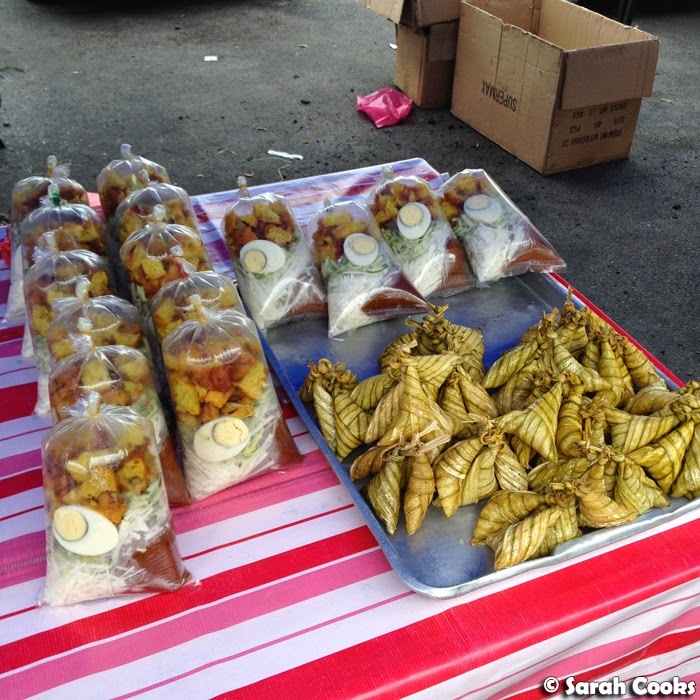 omg i need to get back to malaysia asap! 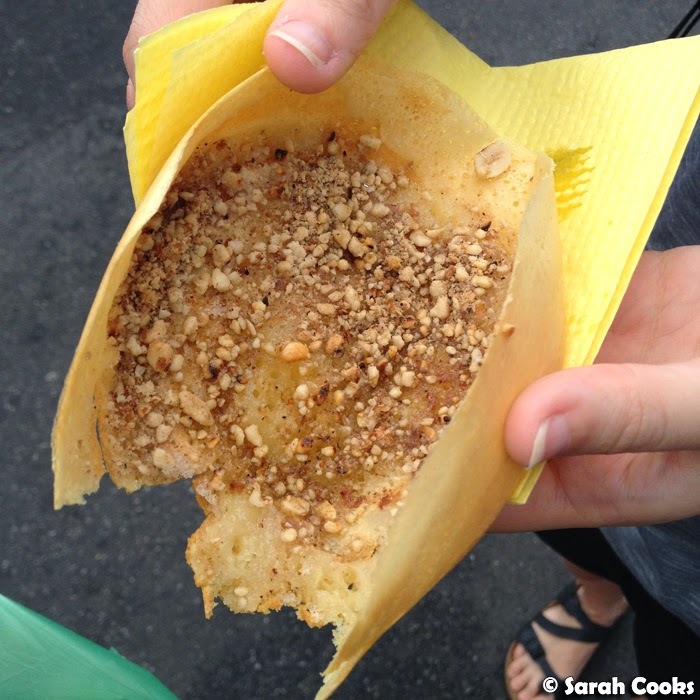 esp for the apam balik! and rojak! and giant roti tisu! 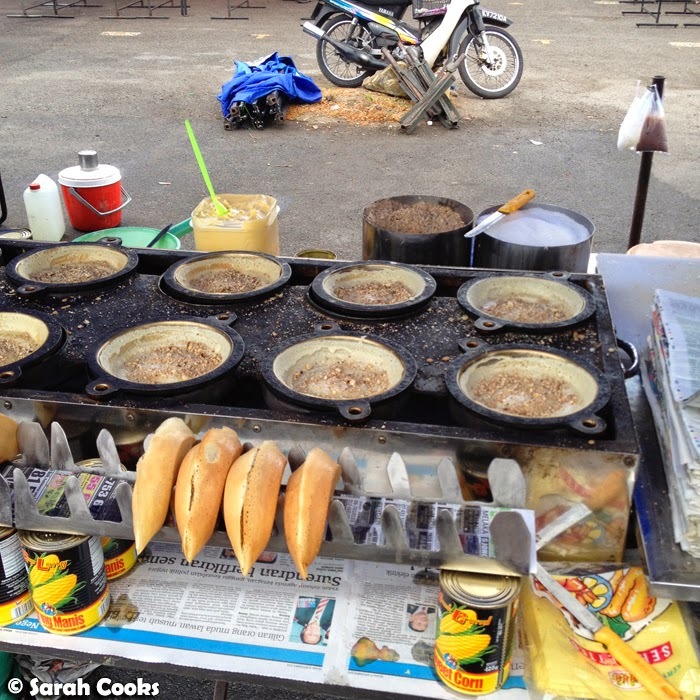 It is so painful to have lived 27 years with no Apam Balik. 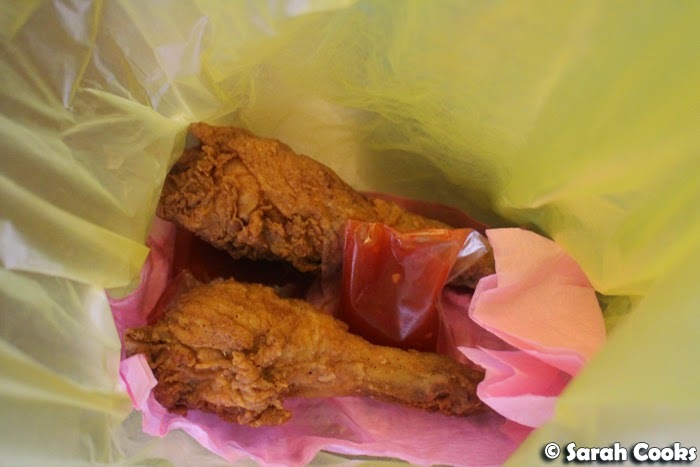 Whoa, I just finished a pretty big dinner but reading this post has made me hungry again. Such an epic food tour! 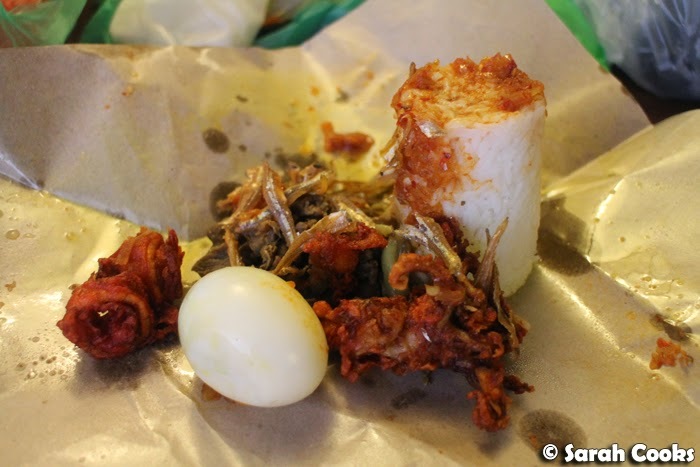 You know, I've toyed with the idea of flying to KL/SG for a weekend just to... eat! Ha ha! Ho liao Ho liao!! I support! I want to eat right this moment.. argh you are killing me woman! AAAAAAAAAAMAGAD I LOVE THIS POST TO THE MAX!!! 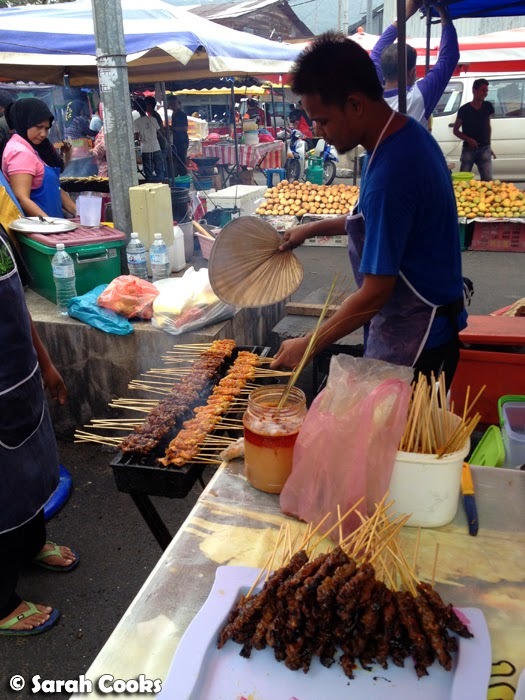 Stunning beaches and even more amazing amazing amazing hawker food. And happy to hear you got to brush up on your Melayu. Mine is so so rusty too need more practise too! 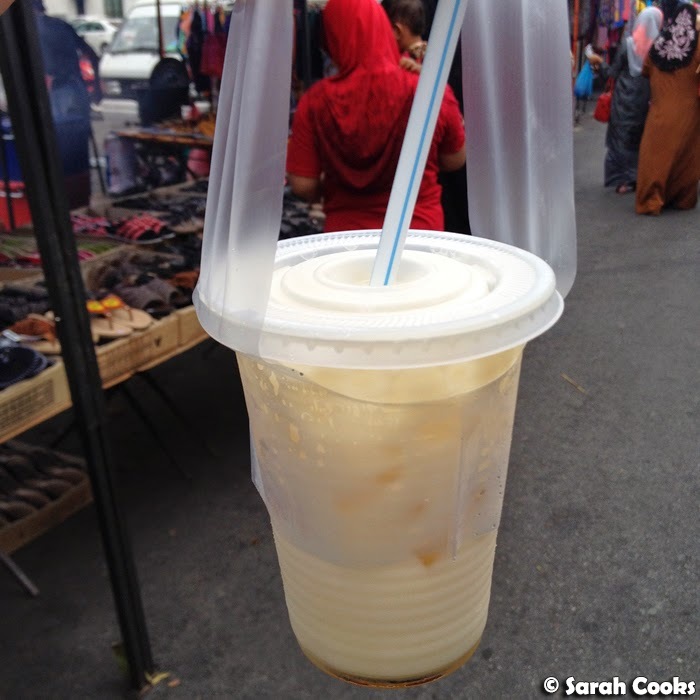 I've only ever been to Malaysia once before for a week - we did Penang (three days), Kuala Lumpur,and my partner's family's hometown of Seremban. I would love to go to Langkawi though!